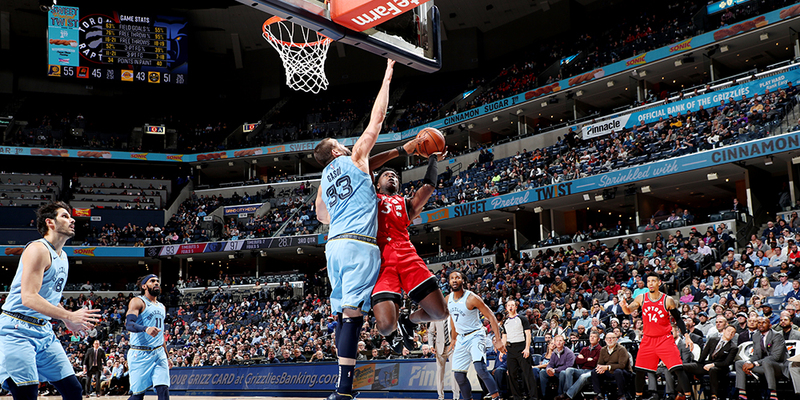 The second half of the Raptors/Grizzlies contest said a lot about why Memphis is winning—and where they can struggle. Watch it with me. The Memphis Grizzlies have been one of the league’s early surprises. Generally thought to be a 30-to-40 win team before the start of the season, Memphis jumped out to a 12-7 start on the backs of the league’s second-best defense. So I was eager to see what would happen when the Grizzlies hosted the Raptors’ elite offense this past Tuesday. The second half of the game gave a glimpse into the strengths and weaknesses of Memphis’ defense, as well as a reason for their offensive success in a game where they scored 114 points.